(MEECE), a European Union project to explore the impact of climate and human activities on marine ecosystems. The depletion expected in the amount of plankton in the marine food web could reduce fish biomass in 47% of the total global ocean area, especially in tropical oceans…. … In the Baltic, Barents and Black Seas, it is expected to increase. Given that the moderators have specifically requested “no discussion of mitigation options this month – that has been done to death in previous threads”, it seems strikingly rude to engage in name-calling to try pick a fight over solar energy. Find this indefinite business as usual strange. Oil is about to peak though hydraulic fracturing may extend this for a few years. Even coal may be less abundant than we think. Also in a few decades fossil fuels will be obsolete anyway. Speed changes biogeochemical cycling. A slow increase in CO2, dissolving into the oceans did not change pH drastically even while atmospheric CO2 went up very high, because ocean chemistry buffered the pH. The unprecedented fast rate of CO2 increase does change pH drastically — the biogeochemical cycling in the ocean can’t keep up. The authors of the IPCC’s recent Fifth Assessment Report therefore included two moral philosophers. I am one of them. I have been a member of the IPCC’s Working Group 3 since 2011…. Eventually we were presented with a few sentences that, we were told, the developed countries would reject, and an alternative few sentences that, we were told, the developing countries would reject. As he left the room, one delegate privately advised us not to depart far from his version of the text, because his delegation was very close to deleting the whole section anyway. This was the moment when I began to enjoy the whole event. The threat was not frightening. We privately pointed out in return that, if our section was deleted, we would no longer be authors of the SPM. We would be free to go to the press and publish what we liked. When do you think liquid fuels will be obsolete? They can be worked around, but they are awfully convenient. You should read back a little too. This is about rejuvenating existing oil fields by throwing energy at them. Energy may even be substantially squandered and still come out ahead of synthesizing liquid fuels from atmospheric (or dissolved) carbon dioxide, the responsible way to get liquid fuels. I’m surprised Dio has already forgotten that we aren’t talking about mitigation measures this month. I just scanned them quickly, myself, for reasons implicit in the second-last sentence. But others may feel more inclined to really dive in. DP didn’t say “liquid fuels”. DP said “fossil fuels”. I do think that some of the major uses of liquid fuels — e.g. for ground transport — will become, or at least certainly CAN become, obsolete in the very near future. Let’s not look to far into the future…no more than 30 years has been decreed. “…a climate sensitivity of 6.8 to 7.8°C per CO₂ doubling” !!?? Actually it is very deeply in the midst of the issue. Pricing for liquid fuels is high and they might be sourced from converting carbon dioxide with hydrogen, from adding hydrogen to biocarbon, or adding hydrogen to fossil carbon (once the oil shale and tar sands are all processed). The cheapest method looks like using fossil carbon. So, if liquid fuels remain convenient, and fossil carbon is not regulated, BAU continues. Vast networks of multi-lane highways covering Asia, Africa and South America will join Australia, Europe and North America in a transportation culture that keeps emissions growing. Diogenes, from what you wrote, seems you don’t understand the forum software. This isn’t a “chat room” where everything gets posted on top. Don’t always post in the latest open thread and assume the hosts will decide where your post should appear. They clean up after us regular readers here some, when we mess up, but not always. Blogger forums don’t work that way. You’re — we all are — expected to find an appropriate open thread. Here’s how: Look from the Home page (link is at the top of every RC page). Read topics; Page Down to the bottom, click to see « Older Entries and find an open topic appropriate to your idea. Unused or overlong topics eventually get closed. Current events: Record May Heat and Wildfires Continue in California; Extreme Flooding in Serbia; Fish flinging tornado in Sri Lanka (not Monte Python). Would someone chip in and buy this poor chap a calculator that works please? 261 years equals 1.4 GtC per year average up to 2011. However, the IPCC RCP8.5 between 2012 and 2100 actually is 1685 ± 225 GtC! Hansen et al. 2013 … A cumulative industrial-era (1750-?) limit of ~500 GtC fossil fuel emissions and 100 GtC storage in the biosphere and soil would keep climate close to the Holocene range to which humanity and other species are adapted. Cumulative emissions of ~1000 GtC, sometimes associated with 2°C global warming, would spur “slow” feedbacks and eventual warming of 3-4°C with disastrous consequences. HOWEVER the path actually leads to Cumulative emissions of ~2,000 GtC would indicate a minimum GMST of +4°C before 2100 on top of the ~2C already in the system …. with even further global warming to 6-8°C quite possible over time. All things being equal, if this rate of fossil fuel energy use continues then +4°C is all but a certainty by 2100. This is ignoring any and ALL Climate Feedbacks, such as from the loss of ice, methane in the arctic, and other major ‘tipping points’ in the climate system that science as yet cannot predict very well. We also know the historical 365 GTC raised Carbon Dioxide pollution to date by +120 ppm of the atmosphere to 402 ppm in 2014. The above Carbon Emission projections equate to an increase of another ~552 ppm on top of the 402 ppm. 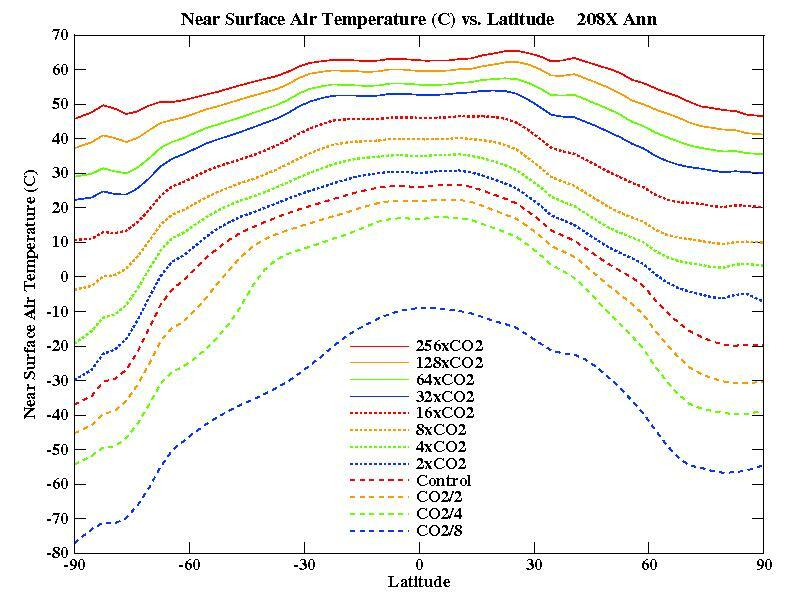 So a reasonable BAU trajectory forecast is for CO2 rising as high as ~950 ppm bby 2100. That is over 7 times the CO2 increase of 120 ppm to date and it’s happening in under 85 years should BAU prevail. BAU includes the current expected future capacity and massive growth in Hydro, Nuclear, Biomass, and clean green renewables out to 2040 and ongoing globally. iow a best possible case projection with no major changes to BAU economic and political life on the planet, bar marginal improvements on the edges in some nations, not all. Prof Peter Ward and his team suggests CO2 @ 1000ppm and at NO time in the geological past has there been Ice at the Poles. No ice means no ocean current system and inevitable mass extinctions and a 10C world. How are the poles going now, as CA bakes in 100F temps and it’s not even summer yet? Do any recall the status with the unprecedented early spring fires across parts of Australia (the canary in the mine) last year sept-oct and what happened as the summer unfolded? Peter Ward summary in a world without Ice Caps .. how bad can it get? peer-review number checking feedback welcomed. Quote from IOP publishing regarding a refused publication on climate models: <a href="http://ioppublishing.org/newsDetails/statement-from-iop-publishing-on-story-in-the-times “One cannot and should not simply interpret the IPCCs ranges for AR4 or 5 as confidence intervals or pdfs and hence they are not directly comparable to observation based intervals (as e.g. in Otto et al). Gavin, what is your view; ‘one cannot expect a nice fit’? “Given current policies and regulations limiting fossil fuel use, worldwide energy-related carbon dioxide emissions rise from about 31 billion metric tons in 2010 to 36 billion metric tons in 2020 and then to 45 billion metric tons in 2040, a 46% increase,” Source – EIA. Anyone, anywhere, expecting a market-forces or supply-constraint to upset the fossil fuel paradigm needs to re-think Patience as an answer. #161–Nice bait, but I’m not biting anything except my tongue. I’m thinking ‘tipping points’ in scale. 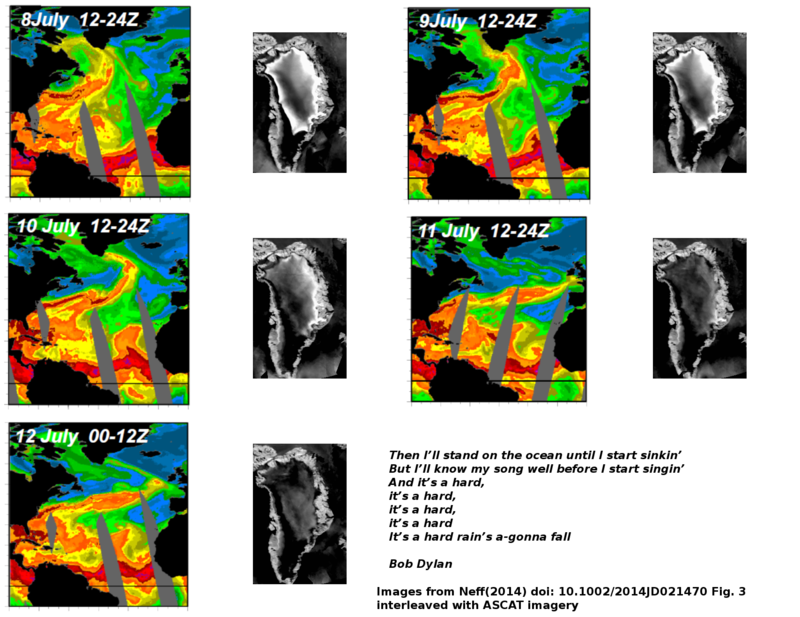 iow that the ESC rises exponentially in co-ordination with all manner of (yet definitive) climate feedbacks. Esoteric indeed, please don;t ask for my peer-reviewed paper. :) As Gavin showed nicely in his recent TED video, fact is the best in the world only have a handle on 4/18 parts of the jigsaw puzzle here. Unknown Unknowns is a big pickle to be in, just ask Rumsfeld. Peter Ward deals with the same time frames and events here, if you like another perspective …. and put them together may show a slightly clearer image of the jigsaw puzzle box lid. The end note nails it imho, “… clearly CO2-induced global warming event.” imo, going anywhere near potential “feedbacks” or “tipping points” is a game over/tilt strategy. They say “Yet, the source of the CO2 remains a mystery.” again, imo if the problem on our plates today is 21st century AGW, then really it doesn’t matter what the source was back then. Stopping CO2 concentration rise is the ONLY viable solution for now. Might be worth considering how glass road surfaces would hold up under extreme weather conditions associate with warming. Where I live, the worst pot holes seem to come from temporary seeps and springs under the road surface or the passage of heavy vehicles. Silica is both denser than asphalt so is may not float up so much and delaminate. On the other hand, where I grew up, frost heaves caused a lot of damage. Hard to see silica standing up to that gracefully, whereas asphalt just gets laid down again. In the extreme though, asphalt may turn out to have problems with heat waves owing to melting, that silica, if properly padded for thermal expansion, may prove superior. What exactly do you mean here Chris??? What is 256 times CO2? Is that some sort of calculation? I don’t understand it. I’m not a scientist and math isn’t my strong point either. Very satisfying pic of a squat red machine with a large handle on top, a formidable lever on the bottom in fig 1 of Podolskiy et al. used in measuring snow sintering. Open access, read all about it. Do bear in mind that the paper you cite is Pagani et al (2006) is rather old and that even today due to a paucity of data, our basic understanding of the PETM can kick up controversy as perhaps Zeebe et al (2014) well illustrates. If the CO2 release did last millenia as is generally accepted, this will lead to PETM CO2 release rates far lower than our present rates (PETM rastes of 0.3 – 1.7GtC/yr, while we are presently topping 10GtC/yr) although the total PETM release remains much higher than our present efforts (eg +550GtC and counting). Sorting out the source and nature of the PETM carbon release is central to the puzzle but I haven’t read any great controversy on climate sensitivity stemming from such work. More typical is this from the full text of DeConto et al (2012) (abstract here) “…this orbitally triggered permafrost–carbon–warming feedback liberates almost the entire global PFSC reservoir, releasing 3,434PgC +/-951 Pg C within the observed 10^4-year timescale of carbon release. This raises global-mean temperature in our model by 6 deg C, accounting for the warming at the PETM (ETM1) without invoking high climate sensitivity to CO2 or additional feedbacks involving other carbon reservoirs”. Divestment at University of Chicago could be making some progress. Are the faculty doing anything to support this? Good article on the dilution of the IPCC report by the political representatives. The Guardian is blessed to have Nafeez Ahmed as its main Climate poster, not some mindless lackey of the Windfall proponents. Already the National Review is crowing over this. The monstrous Ann Coulter and Dinesh D’sousa cut their fangs opposing divestment from South Africa under National Review tutelage. The stakes are high in this. Mustn’t lose momentum. > … Nice bait, but I’m not biting anything except my tongue. Bingo! Your post should be required reading for all visitors to this site. Re: liquid fuels without fossil carbon, isn’t that one pretty much already solved by ethanol and biodiesel? Of course those compete with food for agricultural production capacity, and fossil-carbon-based liquid fuels are cheaper absent government action to raise their price, but the engineering issues don’t seem overwhelming. If I’m wrong, I’ll be glad to have someone disabuse me. That has already been discussed here: use the site search box at top of page, or a straight site search with the DOI or cite, e.g. and of course see the citing papers; there’s much more recent work, as several people have mentioned above. Sorry owl, you are 100% wrong! Peak Oil is very real and it is happening now! To be clear peak oil doesn’t save our goose from being cooked by climate change since CO2 emissions will continue to increase from other sources, what it does do however is accelerate the collapse the fossil fuel based global economy. Which has some pretty nasty feedback loops of its own. If you could, please let us know where Steve Kopits is wrong or what he might be missing? setting that equal to 10,900 GtC and solving for y comes to 118 years. Adding to 2007 gives the year those emissions are complete. Looks like I subtracted rather than added the runt term in my original solution, so it goes out to 2125, not 2123. Setting y equal to 93 gets about 5000 new GtC emitted between 2007 and 2100. RCP8.5 does not grow exponentially to 2100 so it has lower cumulative emissions than BAU. But why bother to collect biomass if there is lots and lots and lots of fossil carbon around that can be upgraded to liquid fuel in the same way? It takes some energy input, but that energy is getting cheaper and cheaper and it is produced much more efficiently than photosynthesis. 170 wallly: We went through that scenario here a few years ago. It seems closer and deadlier now. Sorry for posting an old (but still interesting!) article, and thanks to the many who have posted newer relevant ones as well as older discussions. MARoger’s quote at #179 from DeConto that release of PFSC (PermaFrost Soil Carbon) alone (after some initial orbital forcing) caused 6 degrees C of global temperature increase (if I’m understanding this correctly) is somehow not very comforting, even if there is no indication from PETM for increased climate sensitivity. Oh, Oh, I know: bother because burning fossil carbon is stupid! And stupidity isn’t always uncorrectable. People did eventually decide to stop breathing asbestos, and burning tobacco and lead, and crapping upstream of their drinking water sources, so there’s hope we’ll bother to stop burning fossil carbon too, because stupidity is avoidable once recognition occurs. This irony stuff doesn’t work well on the Internets. Rereading your question, I need to give you a more direct answer. That is a good thing too because it forces me to admit to a sleight of hand that most people have probably noticed already, but which should be stated explicitly. 2 times CO2 means doubling the carbon dioxide in the atmosphere from some level. To a very simple approximation, each doubling should have about the same effect on temperature which is why climate sensitivity is often given as so many degrees of warming per doubling. Another doubling is 4 times CO2, another, 8 times CO2, and so on up to 256 times CO2, where Russel et al. (2013) stop running their simulations. Turns out that Russel et al.’s work indicates that climate sensitivity is not all that constant as a function of doubling CO2, confirming and extending some work that Gavin was involved in. But here is the sleight of hand: doubling CO2 is from some level. Gavin’s work doubles (or halves) from the preindustrial level. Russell et al. start from a level that is about 10% higher, the 1950 level. http://pubs.giss.nasa.gov/abs/ru00200g.html Since, in what I’ve been developing here, that translates to finding 9000 rather that 8000 extra GtC (gigatonnes of carbon) it isn’t all that important, but it should be recognized. So, 256 times CO2 in Russel et al. means about 280 times CO2 in the context of Hansen et al.’s Efficacy paper if they had run models to that many doublings. Most people interested in math will have memorized powers of 2 out to 4096 or so and will recognize 256 as a power of 2. It is good that you asked about this. 256 probably does not look special to you or to many other people as well. Owl never mentioned ‘peak oil’; his focus was specifically on fossil fuels, and that’s why I gave him the DIOGENES five-star rating (#185). There’s no lack of coal or other fossil fuels to satisfy the EIA emissions forecasts for three decades hence. But, we have a more serious problem on this blog, and in the climate change community in general. It is how the debate is being framed, and who is framing the debate. For example, the main peak temperature target in all the major studies and international reports is 2 C. That’s where discussions start, including on this blog. Where did the 2 C number originate? Why, that’s the number the diplomats and their associated governments believed they could sell to the masses; there’s little scientific evidence that such a target will keep us ‘safe’, and much evidence that it will not. But, the debate was ‘framed’ to make 2 C the acceptable norm. The same has occurred with BAU, which really underlies your comments and the peak oil comments. Why is BAU relevant? In my view, it is a very large number, and miniscule actions can be taken to reduce BAU, and provide the illusion of ‘progress’. It is analogous to the situation of Mutually Assured Destruction, where we and the Soviets accumulated nuclear arsenals that could destroy each other twenty times over. An agreement to reduce arsenals by 10% made it appear as though great progress was being made, and although it certainly was better than no agreement, it meant in practice that we could still destroy each other eighteen times over. That’s the same situation with BAU. The debate needs to be reframed based on allowable temperature targets, a CLIMATE SCIENCE ISSUE OF THE FIRST ORDER, and the translation into allowable carbon budget. If we used an appropriate metric like this, then we would see that a drop in oil production of ten or twenty or thirty percent over the next few decades is as irrelevant to climate change as the reduction in MAD arms was to survival of the citizens of the USA or USSR. There are some examples that are more encouraging having to do with atmospheric science, but we are not discussing good things this month. I have remarked that a hard rain’s gonna fall on Greenland. Neff(2014) doi:10.1002/2014JD021470 detail an atmospheric river to Greenland triggering the great darkening of 2012. I have interspersed ascat images into panels from from fig 3 in the paper.